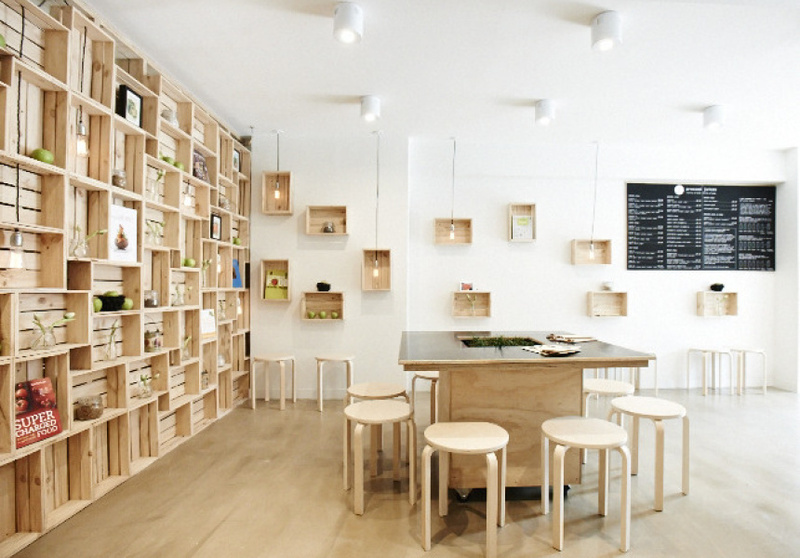 The first Pressed Juice store brings Melbourne a new solution for healthy drinking, courtesy of one cold, hard squeeze. Said to be the healthiest way to drink juice, the cold press extracts juice through a high-pressure hydraulic press, capturing and preserving all the goodness of the enzymes, fruit sugars, vitamins and minerals of the fruit. While regular juices are blended and lose a great deal of their nutrients in the process, pressed juices are at their most raw, with their richest elements still intact. At Pressed Juices’ new Armadale juice bar, customers are offered 29 colourful juice combinations, such as blueberry, coconut and pear, or watermelon, cayenne and lemon. The team press all the juices with a top-of-the-range cold press, before bottling in the early hours of the morning. Each bottle has a three-day shelf life. In prime position next to a gym, the store – which features interiors by Every Studio – is just as clean and fresh as the product, with bright white walls, light timber furniture and high benches that look out onto High Street. 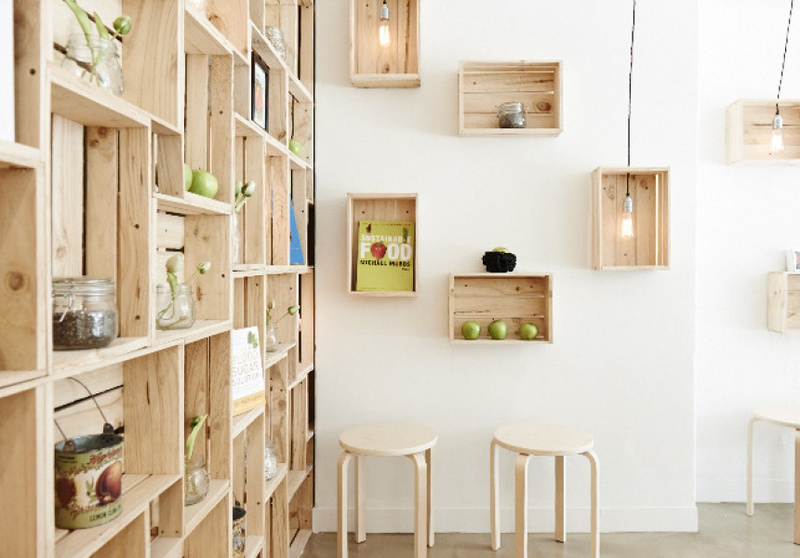 Repurposed wooden fruit crates are arranged at the rear of the store, coming together to create a feature wall with apples, yoga books, beakers of flowers and naked globes.